Progressive Web Apps (PWA) are beginning to establish on the app market! In the USA many companies like Starbucks, Forbes and Twitter already have their own progressive web apps. Until now, this technology is as far as possible unknown. But to always stay one step ahead of your competitors, you should already move in this direction asap. We are happy to make it possible, that everyone can have a mobile app in today’s world. Progressive Web Apps pick up Internet users where they are every day: on the World Wide Web. It is a mobile website and can be accessed by any device. It perfectly adapts to the technical requirements of the respective device. 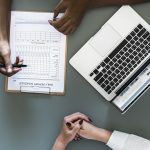 It combines well-known app functions and is comparable in handling and interaction possibilities with those of a native app. The special thing about Progressive Web Apps is that it doesn’t need an App Store! It does not have to be submitted to an App Store first! It is represented on the World Wide Web and can reach the desired users via URL, Google search or as a link in a chat message. Thanks to its very modern technology, it is always up-to-date as soon as the mobile app is called! The use in offline mode and the sending of push messages is also possible! Fast loading times and less storage space are further advantages of Progressive Web Apps compared to a native app. 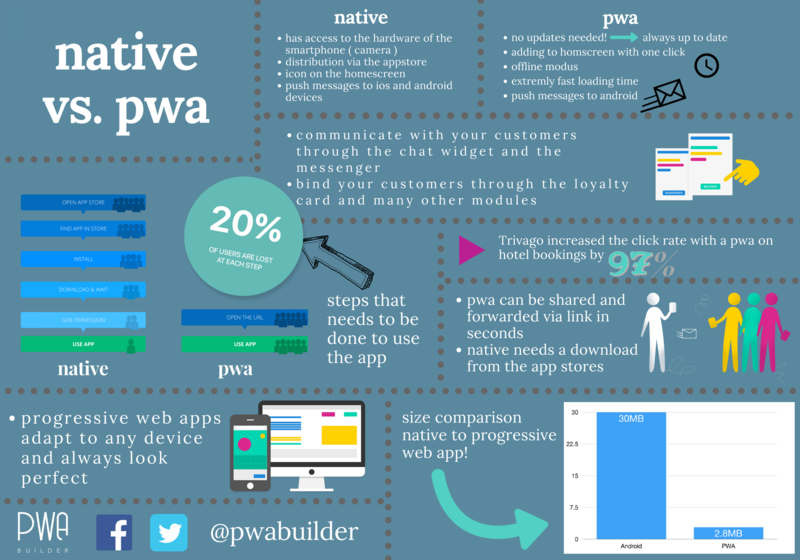 Have a look at the differences between a native app and progressive web app. With mobile apps, your users will finally get what they want! Most classic websites do not offer what today’s users need. They are usually static and offer only a little interactivity, unlike the progressive app. Both aspects that are particularly demanded by the ever-increasing number of mobile Internet users. 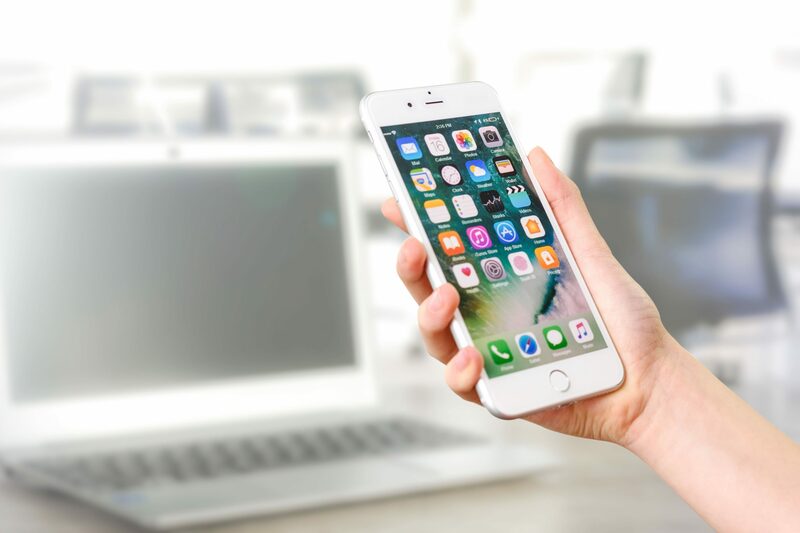 Progressive web apps offer many possibilities for interactive functions and a desired feeling of an app for smartphone users. Typical features are that progressive web apps are added to the smartphone’s home screen and that they can receive push messages on your android smartphone. Temporary appointments or chat functions integrated in the Web App are further functions of a mobile app. Some companies are already successfully using a progressive web app. For example, Trivago was able to increase the click rate of clickouts on the hotel booking page by 97%. Our pwa builder makes it easy for you to design apps, that you can perfectly use for your business. Mobile apps are the future, go get it!